Katy Perry is something of a beauty chameleon. She’s sampled almost every hair colour, can rock a statement lip just as well as a neutral shade and her big blue eyes are completely captivating. While her makeup routine is no doubt always changing, one thing remains consistent: Perry’s bombshell eyelashes. Full of volume, the secret to her iconic lashes is more than an excellent mascara—it’s the work of lash extensions. We spoke to Good Gosh Beauty extension expert Lauren Kurtz about our quest to get the Katy Perry look. Whether you want to try a set of lash extensions or aspire to DIY it at home with false lashes, Kurtz has you covered. If you have small or brittle lashes, extensions are a great way to naturally enhance your eyes. One-by-one, a lash artist will adhere individual synthetic lashes onto your own, making them longer, thicker and curvier—and they can last up to a month. If it’s just a one-night fix you seek, Kurtz shares her foolproof tips for false eyelash application. 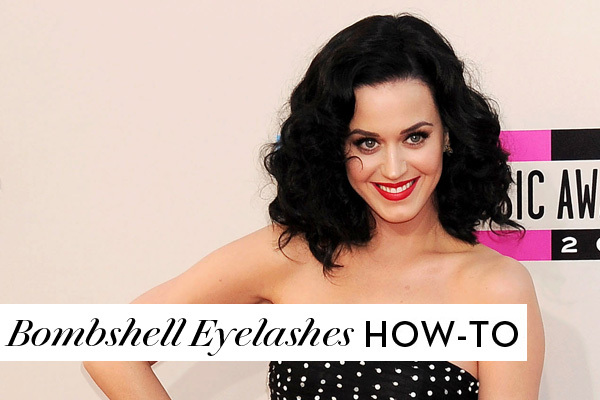 Read on and see just how easy is it to get Katy Perry’s bombshell eyelash look. Read my full article on FASHION MAGAZINE by clicking HERE!